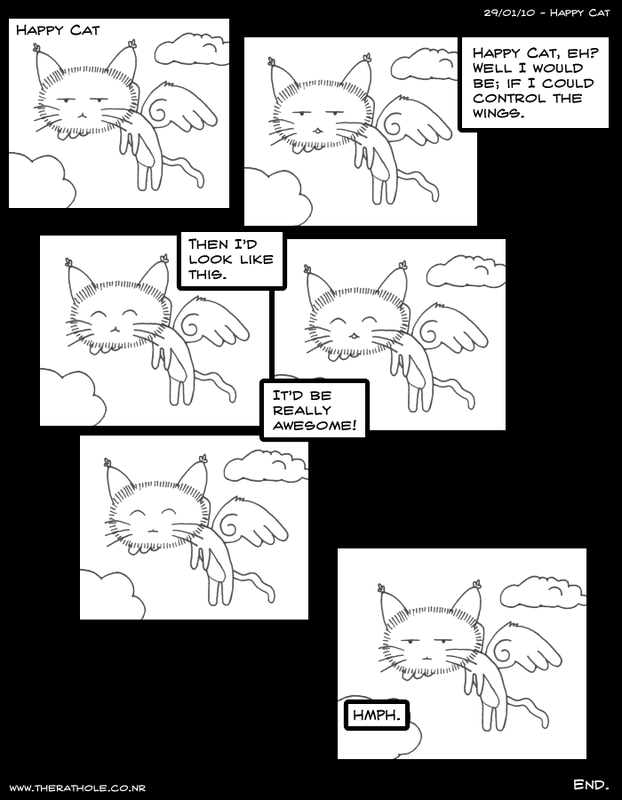 Happy Cat Comics - "29/01/10 – Happy Cat"
At the moment I’ve set the limit to 700 or so pixels wide; but sometime it should be possible to make the content area resize itself to fit any image size. Please let me know if you find anything broken or wrong with the site, or even if you have a suggestion for a change, and we’ll see about fixing it up. I’m sure I’ve missed something/s. LOL XD Happy Cat!! How cuuuuteee!!! Oh yeahh I’ve done some of the story. I’m not satisfied with the setting but I’ll get Allison to fix it up a bit.